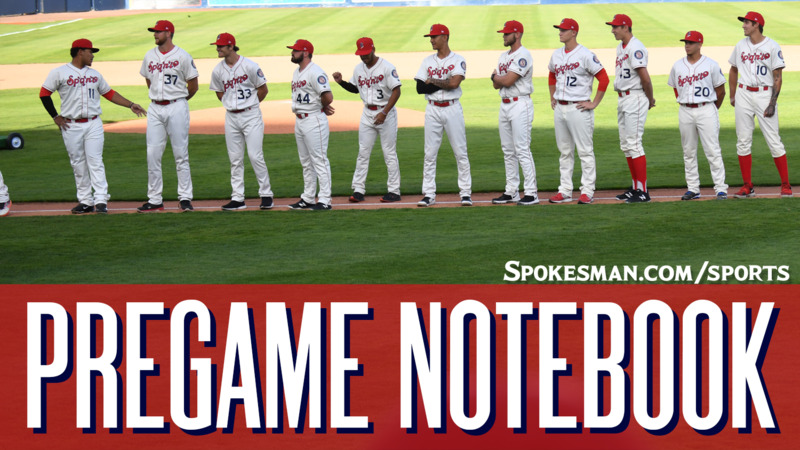 The Spokane Indians (2-0) face the Tri-City Dust Devils (0-2) looking for a sweep in the finale of a three-game Northwest League series at Avista Stadium at 6:30 p.m. The Indians send Seth Nordlin (3-1, 3.67) against Omar Cruz (1-0, 0.00). Nordlin threw for eight innings in a win last time out against Salem-Keizer, the longest outing by an Indians starter this season. The righty has picked up wins in back-to-back outings, but his lone loss of the season came against Tri-City on July 6. Cruz impressed in his NWL debut last Friday, tossing five shutout innings and allowing three hits with six strikeouts. ICYMI: MLB.com published its midseason update of its top 100 prospects. OF J.P. Martinez checked in at No. 62 and the Texas Rangers first round pick in the 2018 MLB Draft RHP Cole Winn was No. 99. Winn has yet to make his affiliated debut. The Rangers team list showed Martinez at No. 3, Winn at No. 4 and RHP Hans Crouse at No. 5. Player to watch: SS Jax Biggers. Biggers has a hit in every game so far in his NWL season. He is on a 10game streak, the third-longest active streak in the league. His .333 average is tied with Diosbel Arias for the team lead. Tri-City top prospects: C Blake Hunt (2nd round/2017), OF Grant Little (2nd/2018), INF Owen Miller (3rd/2018), RHP Sam Keating (4th/2017). Last night: Hans Crouse struck out 12 over seven innings and the Indians (2-0) handled the visiting Dust Devils (0-2) 7-1 on Wednesday at Avista Stadium. Crouse (4-1, 2.45) allowed six hits and did not issue a walk. He threw 92 pitches, 66 for strikes. Curtis Terry went 2 for 4 with a two-run homer and four RBIs. He leads the NWL with 11 homers and 34 RBIs. Francisco Ventura added a two-run homer, his fourth in eight games. Promotion: Christmas in July! ’Tis the season for jolliness and baseball. Come Deck the Halls as the Spokane Indians celebrate Christmas in July with pictures with Santa Claus, Christmas music, trivia, and more! Also: Teddy Bear Toss! Weather: Game time – Partly sunny, 92. Final out – Partly cloudy, 78. Published: July 26, 2018, 4:19 p.m. Updated: July 26, 2018, 4:31 p.m.